When the live television theatrical production of “The Sound of Music” ranked as a ratings success for NBC in December 2013, with more than 44 million viewers tuned in, it was further proof of the lasting magical appeal of the fabled story of the von Trapp Family. But still, enjoying a great stage production of “The Sound of Music,” surrounded by a theater-goers sharing the same musical travels to Austria, is an audience experience unmatched for all ages. 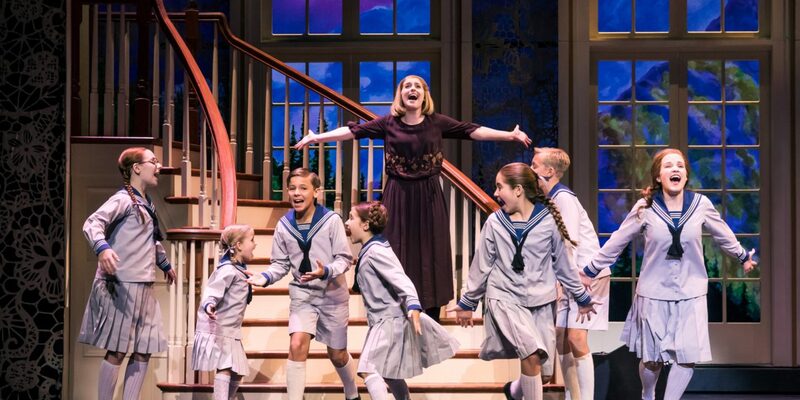 NETworks Presentations has a brand new touring production of “The Sound of Music” at home at Broadway In Chicago’s Cadillac Palace Theatre, 151 W. Randolph, for a special limited one-week breezy run just through Sunday April 15 as a Windy City stop during this North American tour. 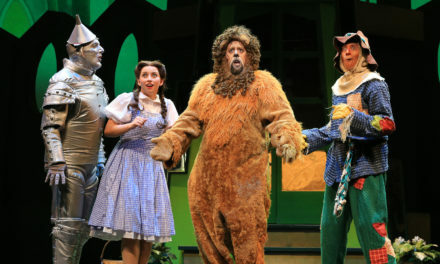 From set design and choreography to the costumes and talented cast, ovations are assured. Jill-Christine Wiley plays Maria, wide-eyed with wonderment and sporting a voice and spirit, both as boundless as the mountains she describes in song. Whether in convent surroundings or as a youth-guiding governess, Wiley is also a solid actress who is believable with a natural chemistry shared with the young cast who portray the von Trapp children. Mike Mclean is the dashing Captain Georg von Trapp, who finds himself transformed by second chance. McLean displays the right amount of balance to achieve the considerable contrast needed to become a changed man between his first and final scenes. 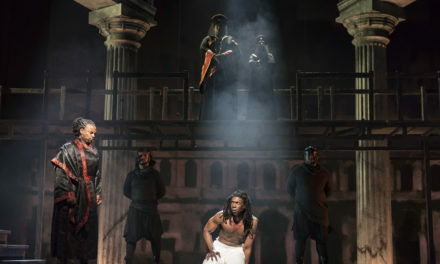 He also connects not only with Wiley in their shared scenes but also with the Broadway brood who play his children including Keslie Ward as wistful Liesl, Sienna Laura Ann Berkseth as Louisa, Matthew Law as Kurt, Sophia Massa as little Gretl (and never missing a moment to melt hearts), Amaryllis C. Miller as Marta, Paul Schoeller as Friedrich and Valerie Wick as Brigitta. 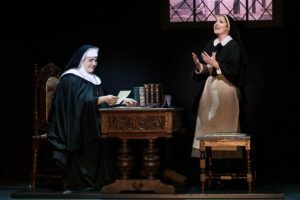 Actress Lauren Kidwell as Mother Abbess offers a powerhouse vocal range nothing short of heavenly, as proven in her turn with “Climb Ev’ry Mountain,” as the close to Act I of this two and a half hour joyous stage journey. The mustard to spice up this sumptuous production comes from Jake Mills as the always planning and prideful Max Detweiler, the man who strikes upon the idea to launch the entertainment career of The Trapp Family Singers, and further peppered by a perfectly frosty find in Melissa McKamie as the cool and reserved beautiful Elsa Schraeder. 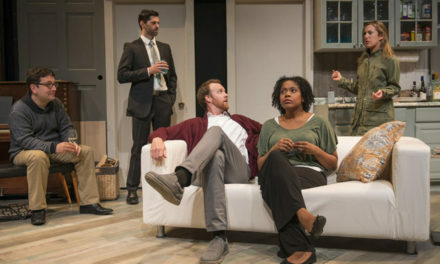 Together, and when teamed with McLean in song numbers like “How Can We Survive?” and “No Way to Stop It,” Mills and McKamie have a masterful timing from their punctuated lines spanning every exchange of their glances. Talented Chad P. Campbell is cast as bicycle messenger Rolf Gruber, the changeable young suitor of oldest von Trapp daughter Liesl. Together, in their shared number “Sixteen Going on Seventeen,” the duo beams with a brightness and warm performance that is infectious. (More than a day later, I still find myself singing the age-favorite tune in my head…) Completing this large and capable cast are Caleb Adams, Colten Blair, Sarah Brackett, Jeff Brooks, Randy Charleville, Mackenzie Dade, Stephanie Gray, Danielle Lee James, Allison Macri, Nicholas Newman, Adam Ross Glickman, Isaac Ryckeghem, Annie Sherman, Thanos Skouteris, Christina Tompkins, Ariana Valdes, Melissa Weyn and Katie Wylie in the guise of roles ranging from Nazi storm troopers, servants and nuns to talent show contestants and ballroom guests. Even before the 1965 feature film became a family classic, “The Sound of Music” featuring music by Richard Rodgers, lyrics by Oscar Hammerstein II and book by Howard Lindsay and Russel Crouse as suggested by the life story of The Trapp Family Singers by Maria Augusta Trapp, was winning the raves and accolades of theater audiences and critics. Songs such as “My Favorite Things,” “Edelweiss” and the title song remain timeless, treasured classics. 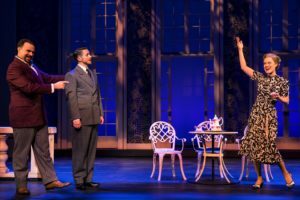 But this song-filled stage parade as brought to life by this creative team for the new touring production, including direction by Matt Lenz (based on the national tour’s original direction by three-time Tony Award winner Jack O’Brien), is something fresh and inviting. The original choreography by Danny Mefford as recreated by Jonathan Warren makes musical numbers like “Do-Re-Mi” even more impressive and clever with added movement and fun surprises as paired with the music, as supervised by Andy Einhorn. 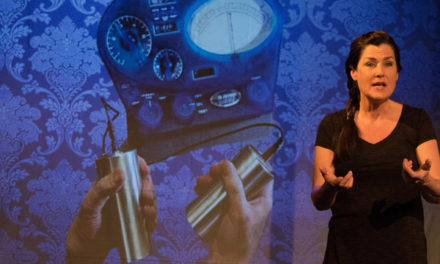 incorporates breathtakingly beautiful backdrops showcased with Tony Award winner Jane Greenwood‘s costume design and six-time Tony Award winner Natasha Katz‘ lighting design and Shannon Slaton‘s sound design. 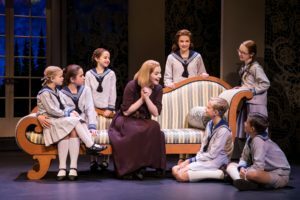 From my calculation, the last worthy welcomed run of “The Sound of Music” was in 2014, down the street at the Chicago Lyric Opera, which serves as further evidence a ticket triumph like this new tour doesn’t offer Austria’s musical lure to Chicago audiences very often. Ticket range from $18 – $115 with a select number of premium seats also available for performances. 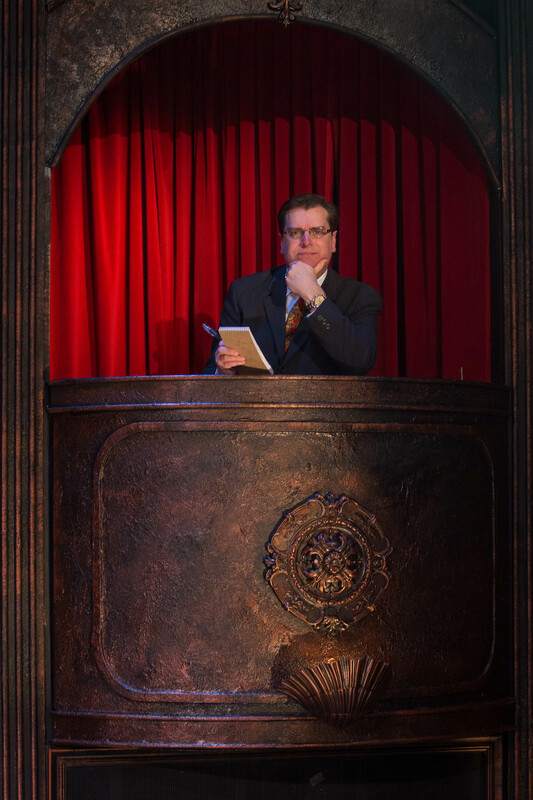 FYI: (800) 775-2000 or www.BroadwayInChicago.com or www.TheSoundOfMusicOnTour.com.